This our X'mas tree. Yes, it's a fake but it does the job. We've had it since Christmas 1995. 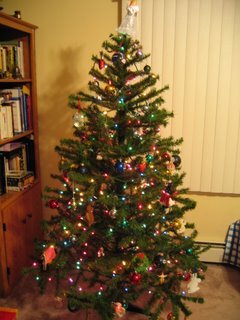 I put the tree up and strung the lights, and the kids decorated it with ornaments. They did a very good job with it.